Home > Questionnaires > Questionnaire: How Much Tax Will I Pay on My Redundancy? Redundancy payments can act as a much needed lifeline if you have lost your job and you are unsure when you are going to find another one. In most cases the government recognises that redundancy money is there to help you survive while you look for another job, so they will only tax large redundancy payments. These questions should give you a rough idea of what you will and won’t be taxed on your redundancy payment. 1)	How much is your redundancy payment? 2)	Have You Received A Bonus? 3)	Have You Received Any other Benefits? 4)	When Is Your Employer Planning To Make The Payment? 5)	Do You Have A Notice Period To Work? 6)	Do You Have A Company Pension? If your redundancy payment is over £30,000 you will almost certainly be taxed. Any redundancy package that is over this amount will be liable for tax, but not for National Insurance contributions. If you have received a bonus or other parting gifts they will also be taxed and you will need to pay National Insurance on these. Any gifts such as a car will be converted into their cash equivalent and the necessary tax deducted from this. If you are in the high tax bracket and pay 40% tax, it is wise to try and get your employer to pay you your redundancy package after you have left the company. If they pay you it before then it will be taxed using your normal working code. If however your redundancy is paid when you have left the firm, it will only be the basic tax rate at 20%. If you have a four week notice period to work and you receive payment in lieu, this will be taxable in the same way your wages are and will not be exempt from tax, even if below £30,000. You sound like you are on the borderline of the £30,000 tax exemption limit. Some employers will give their staff a mixture of a redundancy payment and a bonus when they leave. You will need to calculate whether the value of these exceeds £30,000. If you do have a notice period to work but receive the money in lieu this will not count towards your £30,000 exemption. If you feel you have not been given enough notice from your employer or not enough pay and you take them to court, you will also need to pay tax on any settlement you win. You may also avoid paying more tax by asking your employer to swap some of your redundancy lump sum for a discretionary payment into your pension. 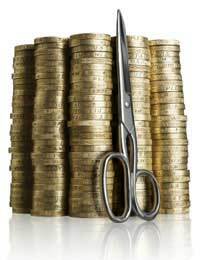 If your redundancy pay is under £30,000 it will be tax free. If you have some notice to work and you are given this pay upfront, this will be taxed at you normal rate tax rate. Anything extra benefits you are given by your employer will also be taxed and count towards your £30,000 exemption. If you feel your employer has taxed you unnecessarily on your redundancy payment you should question their calculations and make sure they have done it correctly. If you are on the borderline of the £30,000 exemption you should speak to your employer and see if there is a way they can pay some into your pension, this way it doesn’t all go to the taxman. Just to add, I'm not sure it makes any difference, but he said my P45 wont be issued until I have received the last of my payments in June. I've just received details of my package which is made up of£10450 statutory, £11414 performance bonusand enhanced redundancy of £80919. Making a total of £102783. Am still waiting for confirmation of a CTI payment from when I worked overseas which I expect to be in the region of $24000. I just poke with the company payroll manager and asked himabout the statement above regarding the tax bracket and if I was paid my severence after I left the company in May 31st I would only pay 20% tax and he has said that wouldnt be the case. I would be taxed according to my salary which would be the normal tax deductions. As far as i am aware, I get my last salary end of May and then at the end of June, when my shares have vested, I then get the severance payment. Can you advise please. Can someone please advise if my redundancy payment of over 30 K ( tax already deducted at source @ 40 percent on 55 K as the total payment was 85 K ) will be added to my annual pension which is around 17 K thus making me liable to pay tax on my pension @ 40 percent ? Many Thanks. @womble - They may be able, with your consent, to withdraw the redunancy and go through the process again with a new notice period. You would need to look at your redundancy terms and conditions.